This stuff is really hilarious, I was really laughing hard whilst watching PoliticsNation with Al Sharpton on MSNBC last night. (RNN) - Mitt Romney has declared war on Big Bird. In the first debate between President Barack Obama and Mitt Romney, the former Massachusetts governor told PBS' Jim Lehrer that he would eliminate all programs that are not so critical, we would have to borrow money from China to pay for it. 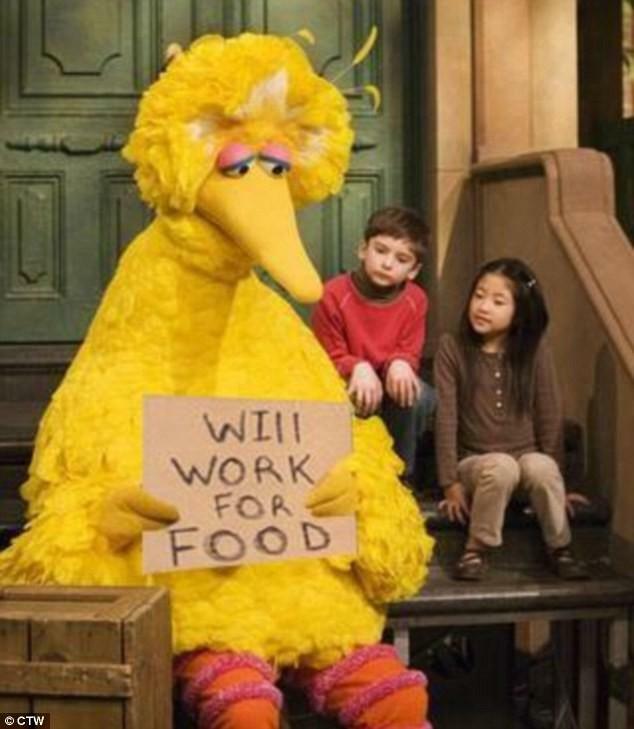 "I'm sorry, Jim, but I'm gonna stop the subsidy to PBS," Romney said. "I like PBS, I love Big Bird! But I'm not gonna keep spending money on things and borrowing money from China to pay for it." Romney's plan to reduce the deficit by firing a children's television icon (Big Bird, not Jim Lehrer) sparked firestorm of comments on Twitter. Actor Simon Pegg tweeted: "I wake up and the first tweet I read says Mitt Romney wants to kill Big Bird. What's happening to the world?!!" Comedian George Wallace ‏tweeted: "Any man in his right mind that would say...'I'm sorry but Big Bird has to go' has got to go." The Big Bird comment was so controversial that it helped the debate become the most tweeted about event in U.S. political history. According to Twitter, there were 17,000 Tweets per minute for "Big Bird" and 10,000 Tweets per minute for "PBS." That is probably why movie critic Richard Roeper tweeted: "Big Bird at home, drinking Schlitz, smoking a cigarette, watching 'Ghost Hunters': 'Who the f--- keeps calling me?!'" In addition to the record-breaking tweets, a barrage of memes were created that poked fun at the absurdity of a presidential candidate using a national stage to say he would get rid of Big Bird. One of the most popular memes was a homeless Big Bird with a "will work for food" sign. You can see more pictures of "The best of Sesame Street vs. Mitt Romney" here.